Mount Monadnock is one of the most climbed mountains in the world (competing with Mount Fuji in Japan)? Pulitzer prize novelist Willa Cather spent her summers in Jaffrey and is buried at the Jaffrey Center Burial Ground? The largest paper matchbook manufacturer in the United States is D.D. Bean & Sons, a Jaffrey business fixture since 1938? 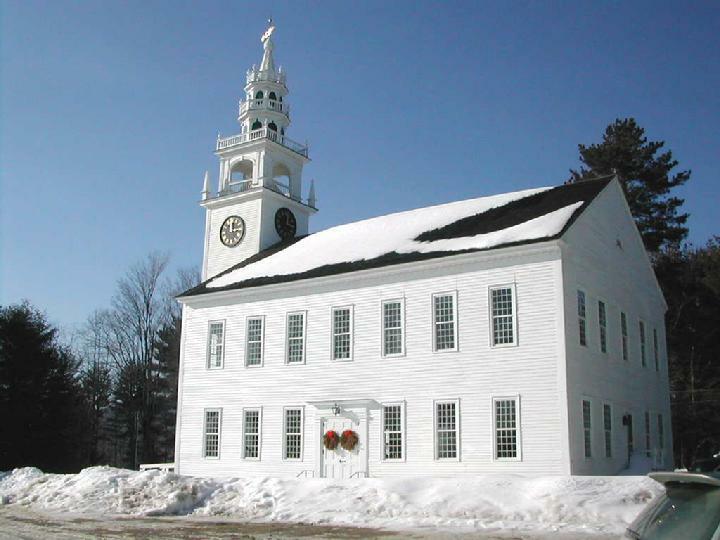 Jaffrey, NH is the only geographical place in the world with the name "Jaffrey"? The town is named for Masonic proprietor George Jaffrey, from Portsmouth, NH, who never even set foot on the wilderness land in which he had invested. Several of Willa Cather's novels, including The Lost Lady, My Antonia, and Shadows on the Rock were either written in or about Jaffrey? Jaffrey is home to one of New England's most famous unsolved murders - the death of Dr. William Dean in 1918. The Dean Murder mystery remains one of the town's darkest moments and divided its townspeople for decades. Itinerant muralist Rufus Porter stenciled several homes in Jaffrey in the early part of the 1800s? Atlas Pyrovision Productions, headquartered in Jaffrey, has won competitions throughout the world for its dazzling fireworks displays? Amos Fortune, once a slave who purchased his own freedom for himself and his future wife, Violate, settled in Jaffrey as a tanner and eventually left money to the town to start several foundations, including the Amos Fortune Forum? A Newbury Medal winning book, Amos Fortune: Free Man, was written by Elizabeth Yates in 1950, herself a onetime resident of nearby Peterborough? Lake Contoocook, which sits on the Jaffrey-Rindge town line, is the headwaters for the Contoocook River, which flows north to Concord, New Hampshire? This is one of the few rivers in the United States that flow in a northerly direction. "Little Michigan", on the western side of Contoocook Lake (also known as "Sunshine") is so named because, like Michigan's Upper Peninsula between Lake Ontario and Lake Huron, it is somewhat remote and inaccessible, except via one road from Jaffrey (even though it also has lakefront properties in Rindge). The silo at the Sawyer Farm, owned by Peter and Ann Sawyer, says "Thank You" because the townspeople banded together not only once in 1983 when another silo crashed into the barn but again when their barn burned in 1999? The Sawyer Farm was the last dairy farm in Jaffrey? The Sawyers kept cows until their tragic fire in 1999. It is still a five-generation farm and is the last remnant of Jaffrey's rural heritage. At one time there were many dairy farms in town and most everyone, even residents in the village, had a dairy cow or two for their own consumption. Famed iterary figures from nineteenth century Concord, Masachusetts - Henry David Thoreau, Ralph Waldo Emerson, and Nathaniel Hawthorne - all climbed Mount Monadnock? There is even a "seat" - a rocky perch - named on the mountain for Thoreau.